Assesses visual observational skill, obtaining an overview, visual orientation ability and speed of perception when driving. 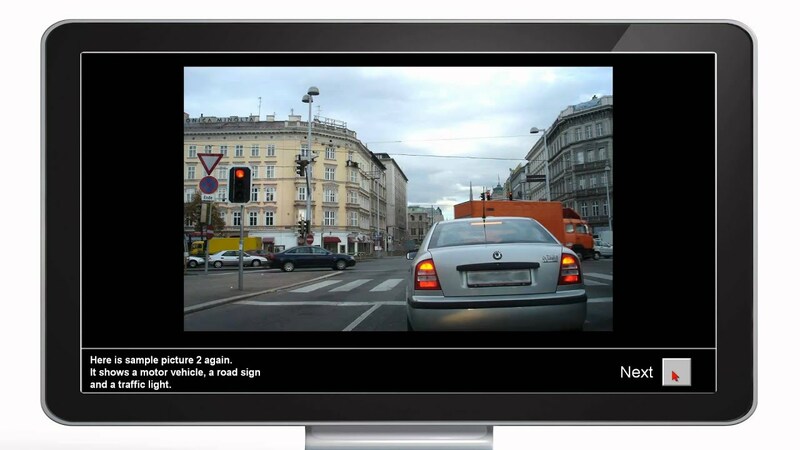 A quick and accurate grasp of complex visual situations is particularly important when driving. Because test presentation is adaptive, respondents are neither over- nor under-challenged and can therefore perform at their best. The test is used in traffic psychology and in safety assessments of professional drivers for personnel psychology purposes. Pictures of traffic situations appear briefly on the screen. A cue (tone) is sounded before presentation. After seeing each picture, the respondent is asked to state what was in it, choosing from five answer options that are given. The answer options are the same for each item. Obtaining an overview: Measure of the accuracy and speed of visual observational ability and skill in obtaining an overview, and of visual orientation ability. The program checks the graphics output speed and issues a warning if the requirements are not met. International special norms available of professional drivers, traffic psychological clients and older drivers.